The Haven is your downtown adventure hub for so many reasons and it’s also your urban basecamp for exploring our world class outdoor parks and protected areas. 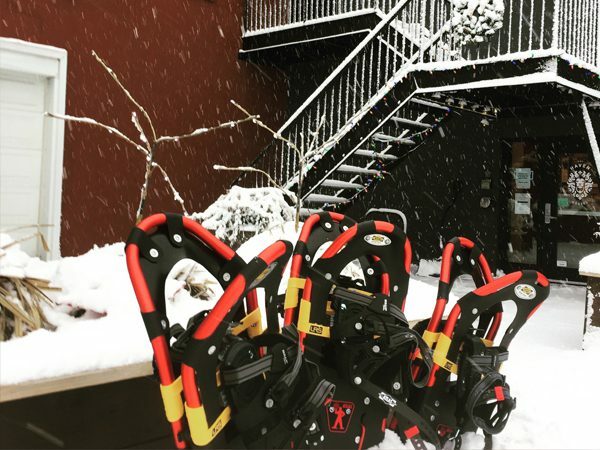 Get Out Gear Rentals Inc is located within the 226 Ambrose St building behind our reception area and features a great selection of water and peddle sport rentals to connect you with our beautiful boreal backyard. 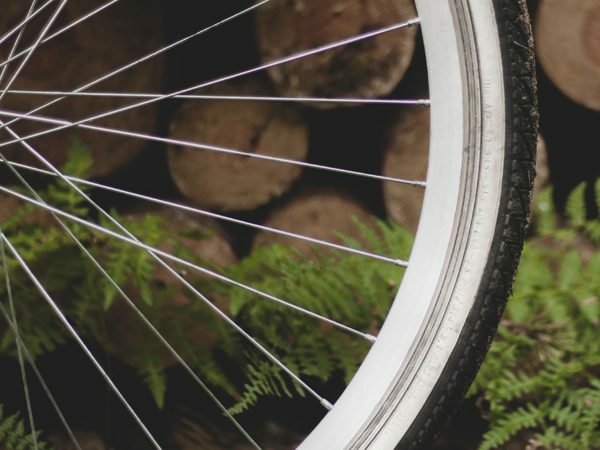 Get out and explore the trails with one of our Giant mountain bikes from Get Out, located right inside the big Haven Hostel building. 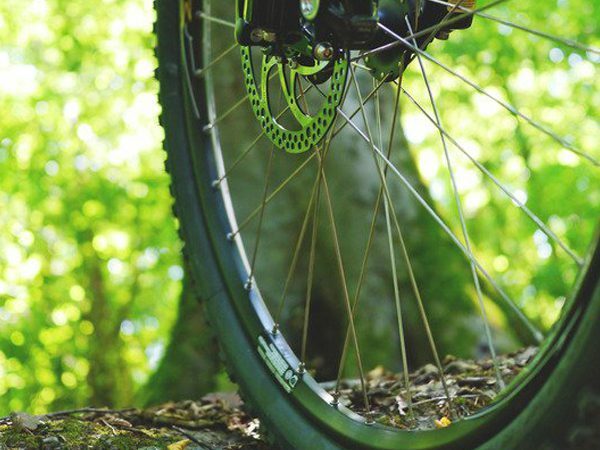 These lightweight front suspension bikes feature disk brakes and quick release hubs, perfect for transporting out to Sleeping giant Provincial Park or Shuniah Mines. All mountain bike rentals include helmet, lock, pump and spare tube. When you’re 100 metres from the city’s urban bike lane, connecting through the city by bike is a great way to explore. Rent one of Get Out’s comfortable and fun townie bikes right here in the Haven to explore the city’s trails and attractions. 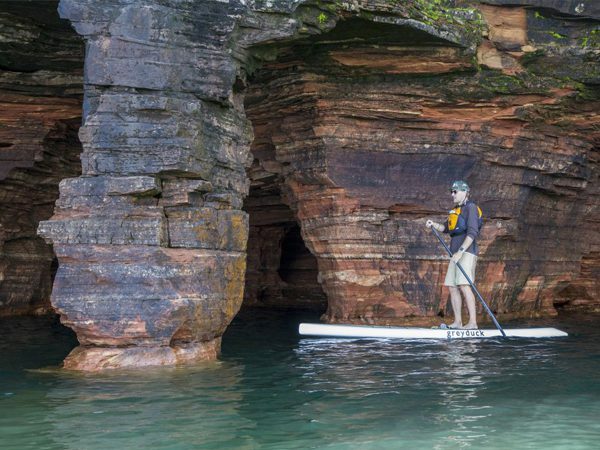 Get out on the water effortlessly with a Stand Up Paddle board (SUP). Get Out’s rental boards are the perfect lightweight and easy to transport option for exploring our lakes and rivers in our back yard. $30 per day (24 hours) and includes board, paddles, paddle tether, pfd, foam transport blocks and straps. Sign up for a paddle board lesson and tour with The Haven’s very own Paddle Canada certified instructor herself, Holly, and explore our lakes and rivers in a whole new way. Pricing - $50 per person includes 3 hours of instruction and touring, board, paddle, pfd, paddle tether, wetsuit and safety equipment. All of our SUPs and accessories are supplied by Superior Stand Up Paddling so if you love your board so much you have to have your own, we will get you connected! Our Perception Impression 15s are the perfect recreational kayak for relaxing day trips and short overnight excursions on lakes and rivers. These durable skeg equipped boats feature bow and stern storage and are excellent in both calm water and can handle up to moderate Lake Superior conditions. 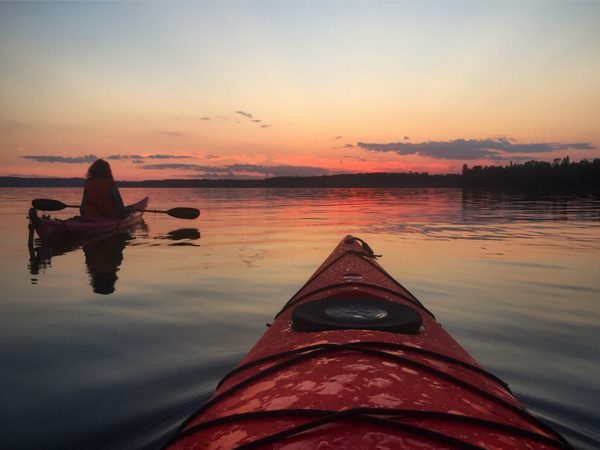 All kayak rentals include kayak, paddle, pfd, spray skirt, boater safety kit, foam transport blocks and straps. If you are super stoked on your kayak, visit our neighbours at Wilderness Supply to purchase one and all your accessories from their huge selection. Rates - $20 plus hst for daily rental up to 24 hours and $45 for a three day rental up to 72 consecutive hours.